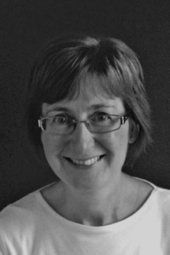 Jan Foss is the South East CKG Judge, she is a Children’s Librarian in Guernsey. One of the most exciting aspects of the Carnegie and Kate Greenaway awards process is the shadowing. This year, as a judge, I have had the privilege of visiting various shadowing groups in Guernsey and I have been struck by how different they are, and the various ways the shortlists can be used. Standing up in front of 250 junior school children is probably not how I would choose to start a Monday morning (it was a bit of a Dylan Mint head-wrecker moment!) but I really enjoyed it. The children were engaged and interested in the judging process and asked intelligent questions afterwards even though they had not been primed! Later on at the same school, Hautes Capelles Primary, I visited Year 2, where they had chosen some of the long-listed picture books to look at. This was a great opportunity for me to go back and take another look at these great illustrations. Then a quick dash across the school to meet the Year 6 shadowing group who were totally immersed in all the books on the Greenaway shortlist. Notre Dame Primary school invited me to talk to their lunchtime group of Greenaway shadowers and I was so impressed by their enthusiasm, not to mention their willingness to give up their lunch hour! Everyone had a different favourite – a real testament to the diversity of this year’s shortlist. Notre Dame Shadowing Group – note the lunchboxes. At La Mare de Carteret High School I spoke to the Year 9 English top set, some of whom were shadowing the Carnegie shortlist. They were interested to hear about the judges’ role and the whole award process. We talked about the authors’ inspiration for their work and focussed on When Mr. Dog Bites, Tinder and The Fastest Boy in the World. We used a couple of the author interviews on the shadowing website – highly recommended, they are extremely interesting, not to mention useful! At the same school, the Year 7 art classes are studying the Greenaway shortlists. At the Guille-Allès Public Library, the Bookworms reading group of 7 – 10 year olds also looked at the Greenaway books during our half term meeting. The older reading group, Book Brains, engaged with children of a similar age (11-14) in Canada via the blogging site Edmodo (www.edmodo.com) where they discussed the Greenaway and the Chocolate Lily shortlists (www.chocolatelilyawards.com). This culminated in a Skype session after-hours at the library where the two groups met each other online and chatted about the books. 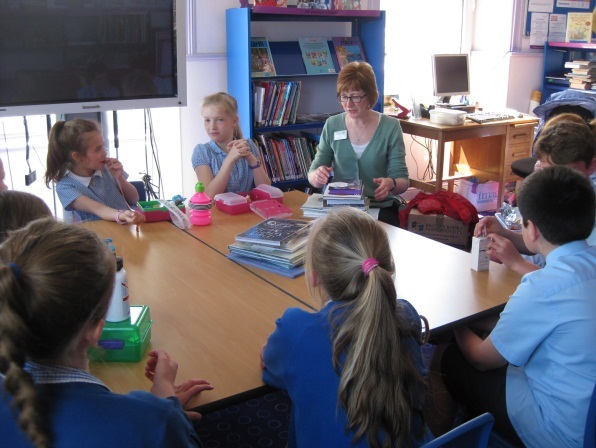 All this activity will culminate on the awards day, 22nd June, when representatives from all schools taking part will gather at the public library for the annual CKG lunch. They discuss the shortlists again in small groups, meeting children from other schools, and then we record the Guernsey vote. Then the results are announced and they discover whether they agree with the judges’ decision…sometimes it happens! They then enjoy lunch together. « Reading is a powerful way to find out who you really are.